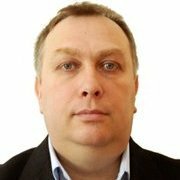 PC, I believe that you have only reposted that picture to remind the PW masses what you look like as you haven't been posting pictures of you with 200 pigeons for a while. No, that was John Travolta! I was trying to be helpful to our new members , due to Mrs PC and myself hospital visits I've not been out mainly due to the drought of pigeons within my locality. Bunny_Blaster has been keeping me informed of the lack of birds to the effect that we have shot them all? ? I've stated before that I obtained my four colours of material from a Asian sari shop in Birmingham . 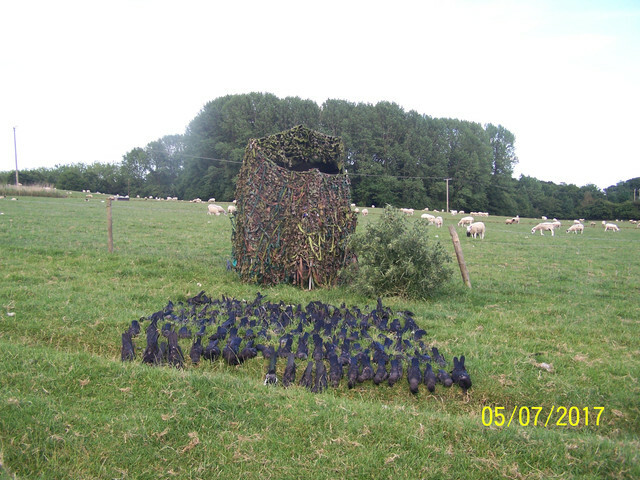 I then cut them into strips and wove them into a normal camo net . The one side is greener for summer and the other browner for winter. 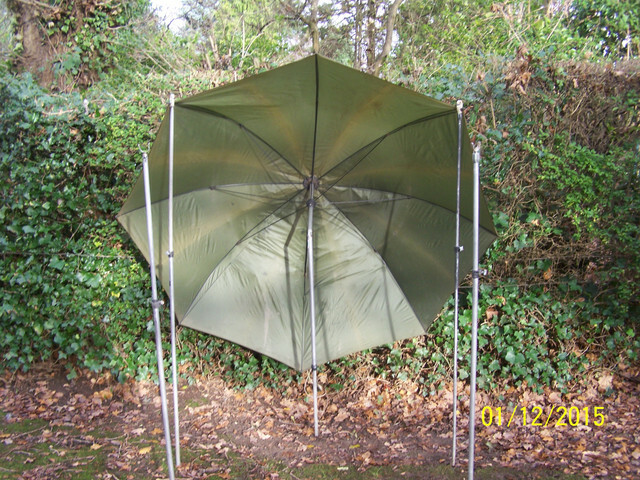 Thanks for this tip - I bought one of these brollies and used it today, in the rain I could duck back inside, when it was dry I could sit out & get a good view. 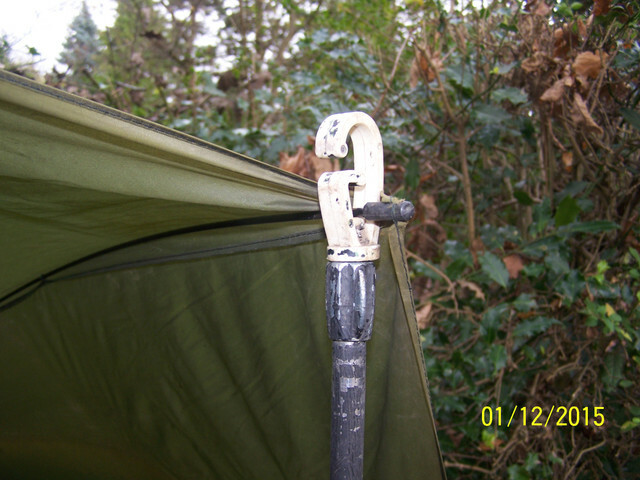 The hide net attaches to the side poles top and bottom and a pole or two out front and you're sorted. All packed down very slim and light. The heaviest part is the bag of guylines and tent pegs. mind you it wouldnt look out of place in "Dc Who"................"the hide men of planet Zog"
It was Planet Zog where I got the Idea . Keep going through the post as Photo bucket pulled the plug and I reposted later on. 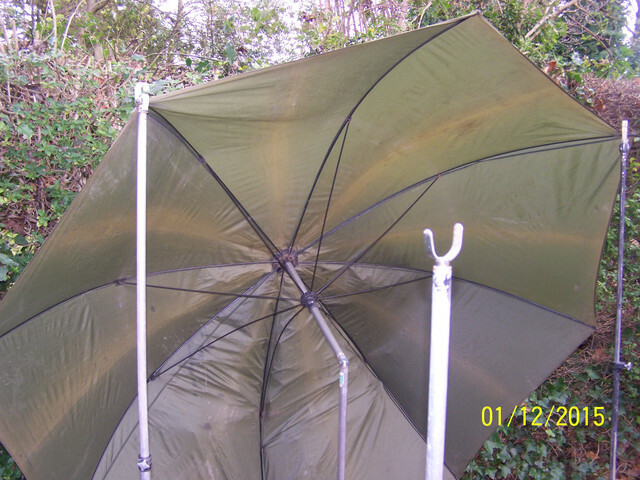 I bought an umbrella fishing hide like Dannyboy is showing, but chopped most of the material off as it was too shiny and attached one of my nets to it. 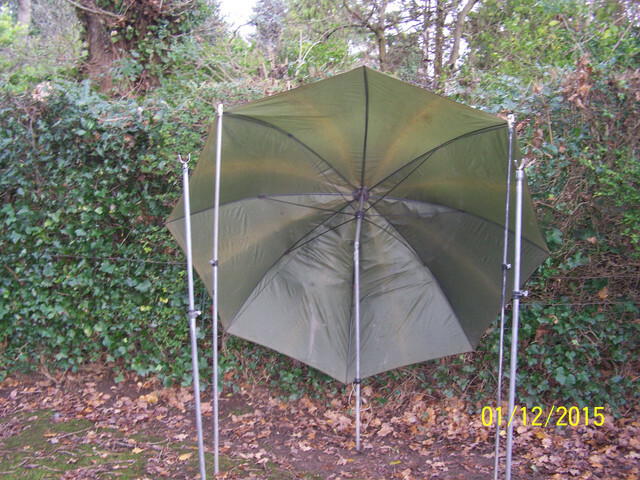 It's easy and light to carry, pops up in seconds and standing behind it against a hedge or tree, with some added local foliage, seems to work. It gives plenty of space for the dog to sit and any other parafinalia one might have, that can sometimes get under foot. I guess nothing is perfect all the time and as a hide shooter, it's in our DNA to be always inventing stuff. Weight is a constant issue with our kit, not all of us can drive on our perms, so ever tip has its merits. Good day! I'm from Russia. For years I hunted wild ducks, geese, and predators. 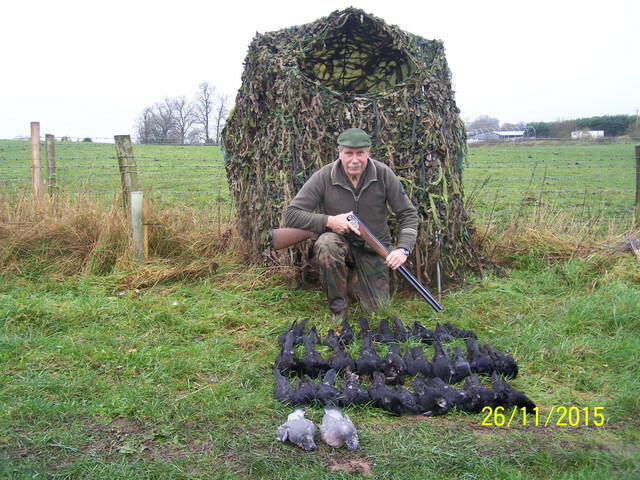 Please let me know if only pigeon hunting is discussed on this forum? I am very interested in hunting geese and ducks in the UK. If it's not difficult for you, give a link to the topic that interests me?